WAVE is going to release the DreamTech Akemi Homura ( 暁美 ほむら ) Swimsuit Ver. ( 水着Ver. ) 1/10 PVC figure from the anime “Puella Magi Madoka Magica” ( 魔法少女まどか☆マギカ ). Will be released in May 2013. Around 185mm tall, 6,500 yen. 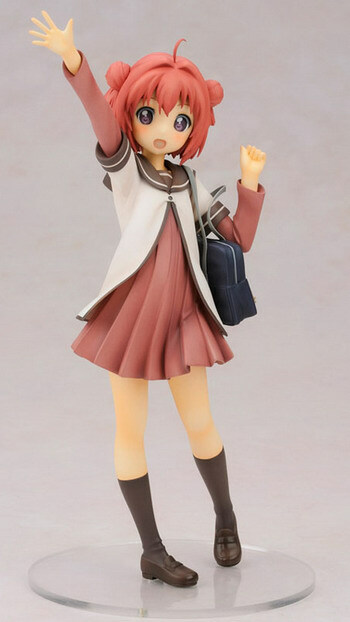 Alter is going to release the Akaza Akari ( 赤座 あかり ) 1/8 PVC figure set from the manga/anime “Yuru Yuri” ( ゆるゆり ). Will be released in April 2013. Around 180mm tall, 6,800 yen. Hehehe, finally a Akaza Akari figurine by Alter! Must be awesome 🙂 Besides, the price is not ‘super’ expensive. Maybe a little cheaper than usual!